and Create a Healthier Workplace. Processes and Programs, Your Way! MyProcess Pro . . .
. . . Has Never Been So Easy, or So Fast! Processes and Programs YOUR WAY! Best of all, we do this while personalizing the deployment of your program to fit each individual so you avoid the problems of a one-size-fits-all deployment that rarely fits anyone! e-Learning for employees in the evolving workplace. Assessment and development to improve work outcomes. Promote health and wellness through ergonomics. Tools to deliver a positive and effective move experience.
. . . Has Never Been So Easy, or So Fast. Deploy e-Learning That Is Interactive, Effective and Popular With Users! Our customers say our e-Learning, is the best! 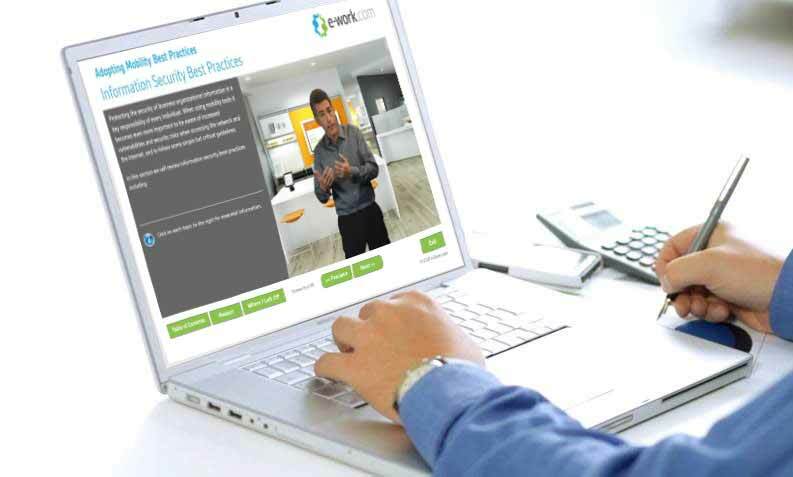 Let us help you elevate the quality and results of your e-Learning today! e-Work.com, in partnership with registered dietitians, has just released a new and exiting course on Adopting Healthy Lifestyle Behaviors: The Diabetes Series. This e-Learning Series includes three unique courses designed to address the individual needs of those who are diabetic, those that are pre-diabetic, as well as those that just want to know more about healthy lifestyle behaviors and how to reduce their risk. These courses are highly interactive and comprehensive, covering topics from what diabetes is, the potential symptoms and complications, and controlling blood sugar, to healthy eating habits, exercise, body weight management, and behavior change strategies. Are you between jobs? Seeking advancement opportunities? Looking for ways to stand out from the others? 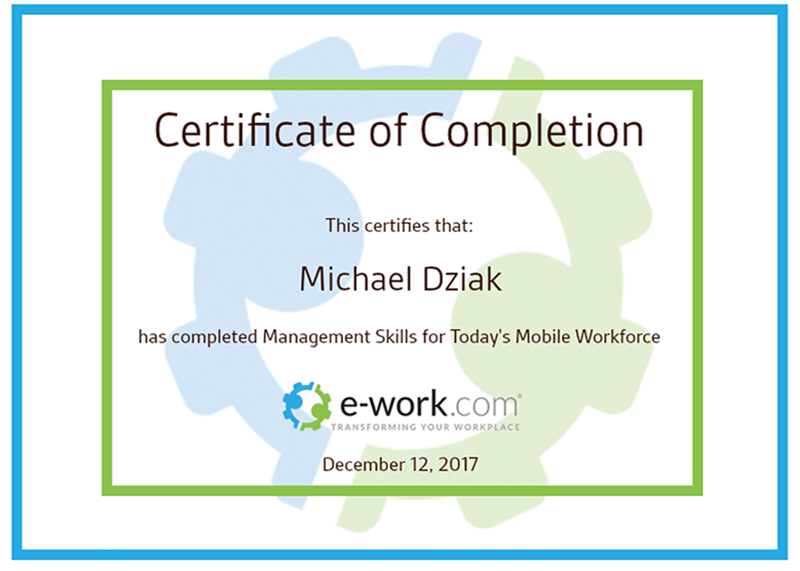 e-work.com has released its Teleworker Certification Series to help you stand out in a crowded digital workplace as one who accomplishes more, communicates better, has a known reputation for accountability, and remains ‘visible’ while away from the office. Five proven e-Learning courses are now available to driven individuals ready to update their skills and gain that edge at an affordable cost. Give yourself the advantage you need to compete in today’s digital workplace!